Have you lost a permanent tooth? If so, you are in good company. According to the American Association of Oral and Maxillofacial Surgeons, 69% of Americans aged 35 to 44 have lost at least one permanent tooth to an accident, tooth decay, gum disease or a failed root canal. Today dental implants and dentures are two of the most common treatment options for replacing missing teeth. 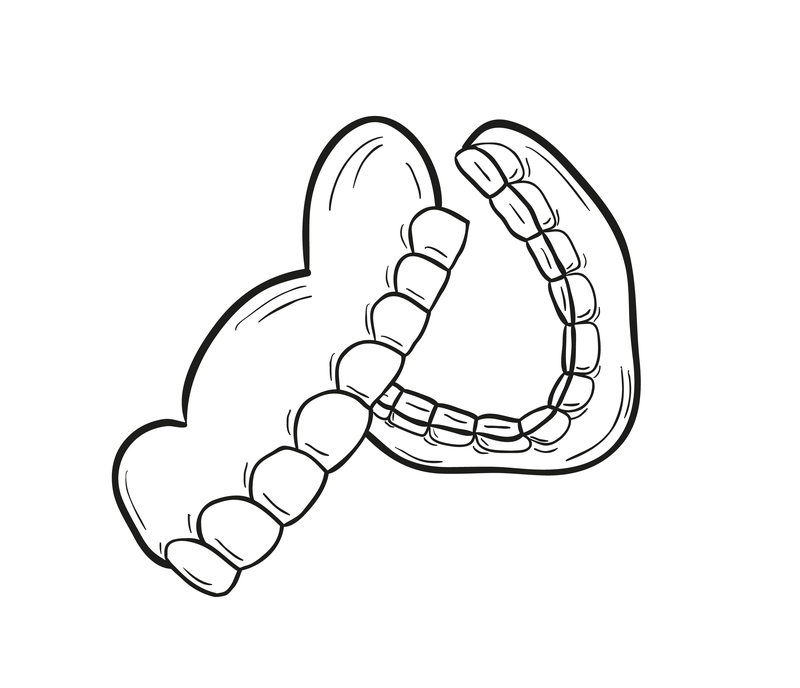 Removable dentures, commonly called false teeth, are prosthetic devices that simply rest on the gum line supported by the surrounding soft and hard tissues of the oral cavity. 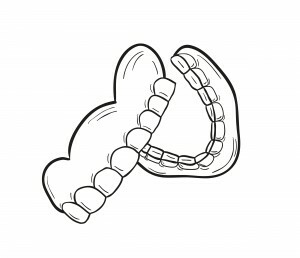 Dentures can improve chewing ability, pronunciation, aesthetics, and boost self-esteem. As a non-invasive solution, they are a great option for people whose gums and jaw are weak or unhealthy. Although quality has improved greatly since the Etruscans in northern Italy first made dentures out of human and animal teeth around 500 BC, conventional dentures still present many challenges. Since they are typically held in place with a (sometimes unpleasant) fixative, dentures can slip out of place, causing discomfort and embarrassing clicking sounds while eating and speaking. Lower teeth are particularly prone to slippage which can lead to gum irritation and sores. Furthermore dentures can cause bone loss, and improperly fitted partial dentures can promote infection and decay in adjoining teeth. Dentures are a high maintenance solution that require daily cleaning and replacement every seven to 15 years. 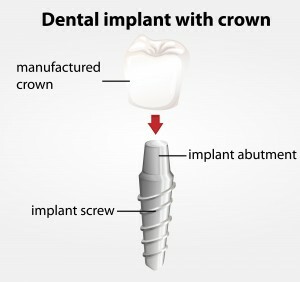 If you are missing teeth and your gums and jaw are healthy, you may benefit from dental implants. 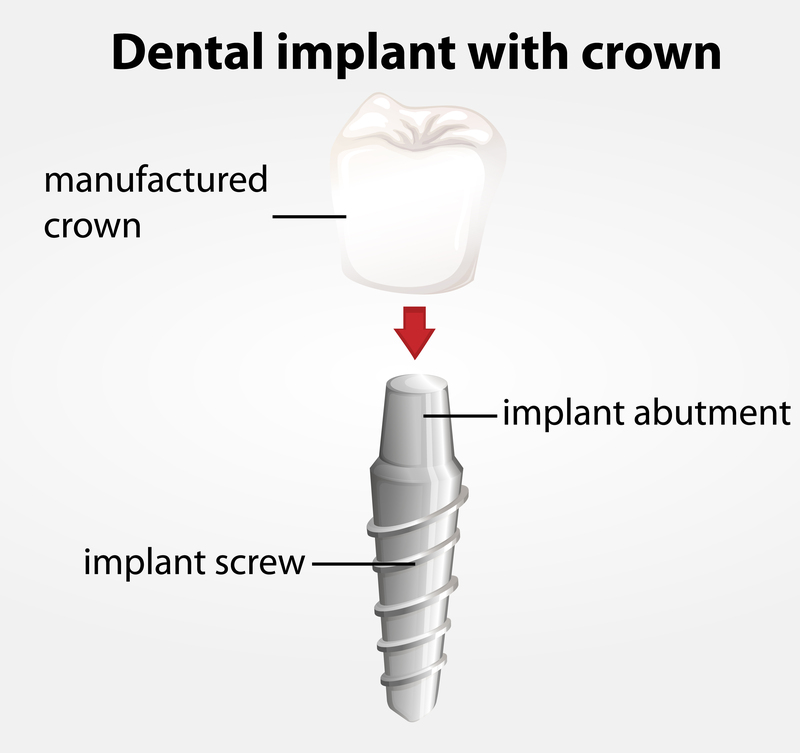 Composed of titanium metal that “fuses” with the jawbone through a process called osseointegration, implants are surgically placed into the jawbone then topped with a natural white crown—so they look and feel like your real teeth. In contrast to dentures, implants never slip, make embarrassing noises, or decay. Because the dental implant fuses with the jawbone, the procedure actually helps prevent gum and bone deterioration, jawbone recession, and facial collapse. Patients enjoy a diet without restrictions and report that implants eliminate the day-to-day frustrations of ill-fitting dentures. Better yet, dental implants can last for 20 years or more with proper oral hygiene. In short, dental implants are revolutionizing lives by helping people rediscover the confidence to eat, speak, and laugh. Whether you have lost a tooth (or multiple teeth) as the result of an injury or periodontal disease, dental implants provide a foundation for replacement teeth that look, feel and function like natural teeth. Though implants cost a little more than dentures in the short run, people who opt for dental implants generally feel better, look better and live better in the long run. Whether you and your health care provider decide on traditional dentures or dental implants, rest assured there’s no need to go through life with missing teeth! This entry was posted in Implants on October 8, 2014 by Piedm.